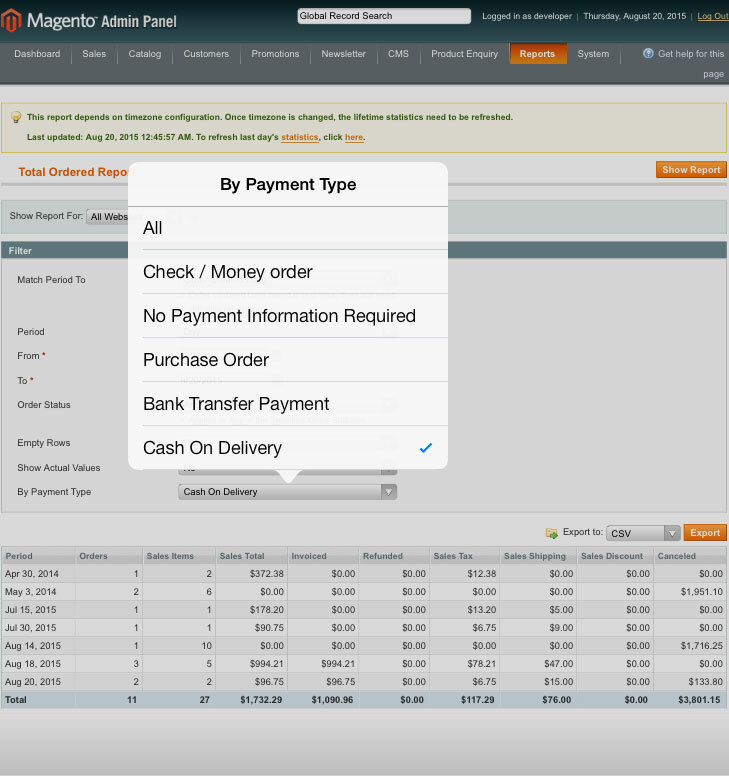 SALES ORDER REPORT BY PAYMENT TYPE Sales Order Report by Payment Type Magento extension help to generate order report by filtering orders, payment method wise. 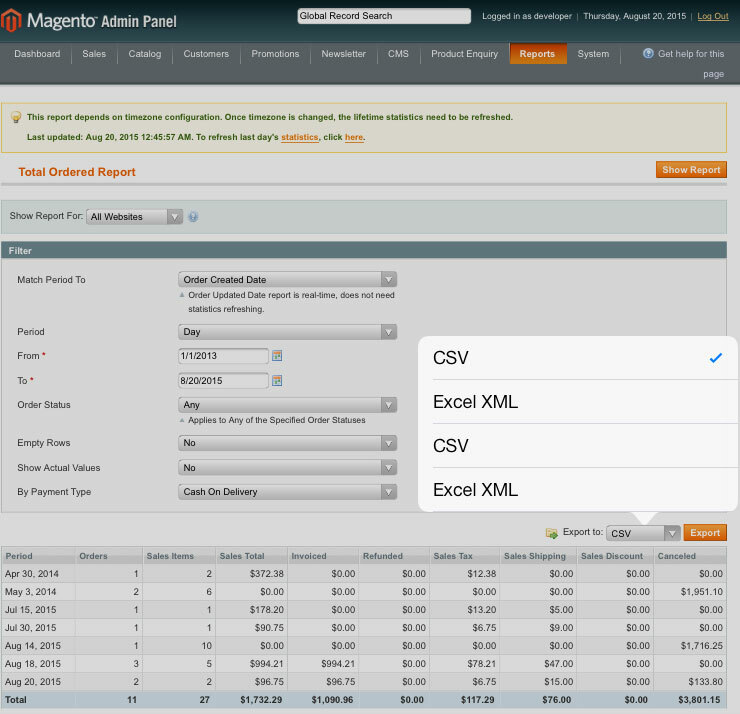 Sales Order Report by Payment Type Magento extension help to generate order report by filtering orders, payment method wise. 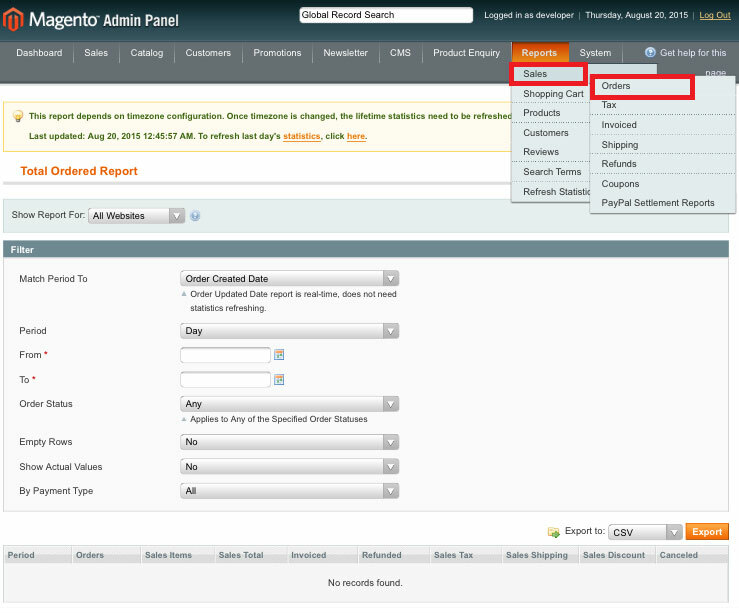 In Default Magento® there is a facility to generate report but not by payment method. 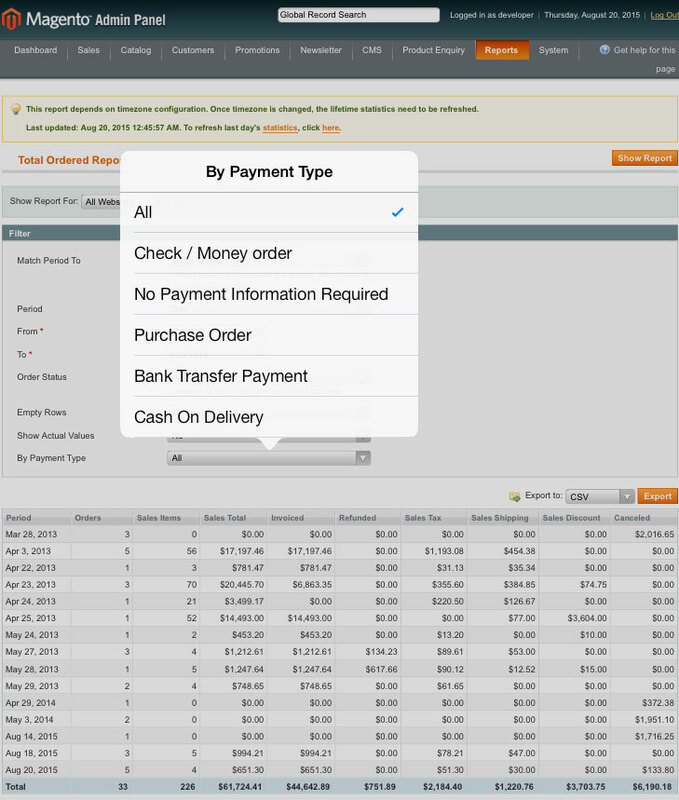 This extension adds an extra feature to generate report and allows store owners to sort Order report by Payment method. 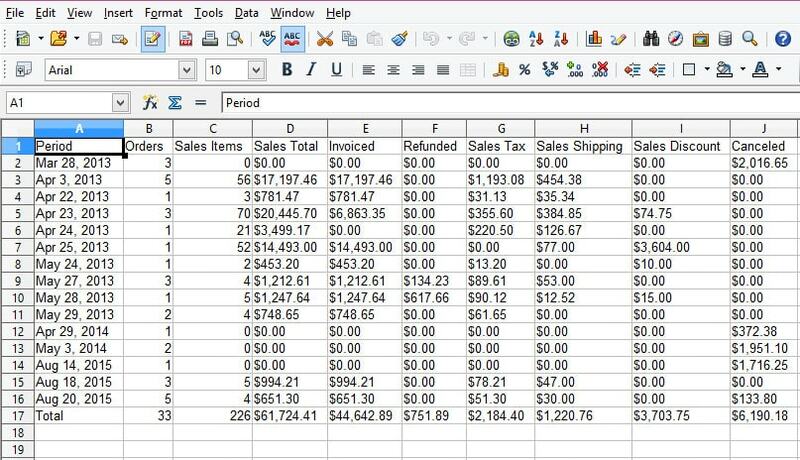 From this you can analyze the customers payment mode considered most of the time to purchase the order. Here you can generate your report Year wise, Month wise, Day wise as per your need. And also at the same time you can select the payment method for which you want to generate the report. All the payment types will be available which the customer had selected to pay the orders. 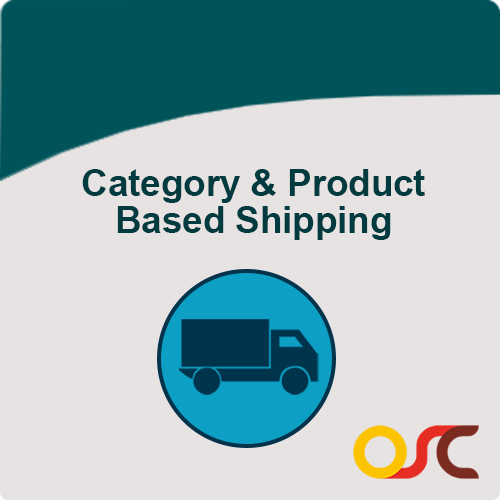 In this extension you can generate the report for all orders at a time or there is also an option to select any particular status of order(for ex. Processing, on hold, Completed and so on) and report will be generated for that specific order. After generating the report there is also an option to export it.